Think about it: the same website that works for a wedding, a photographer or an art gallery does not work for your restaurant. BentoBox's restaurant website designs are based on best practices that convert visitors into guests. Based on the thousands of restaurants on BentoBox, we know that most site visitors are looking for three things: contact information, menus or reservations/online ordering. We make sure your guests are one click or less away from this crucial information. 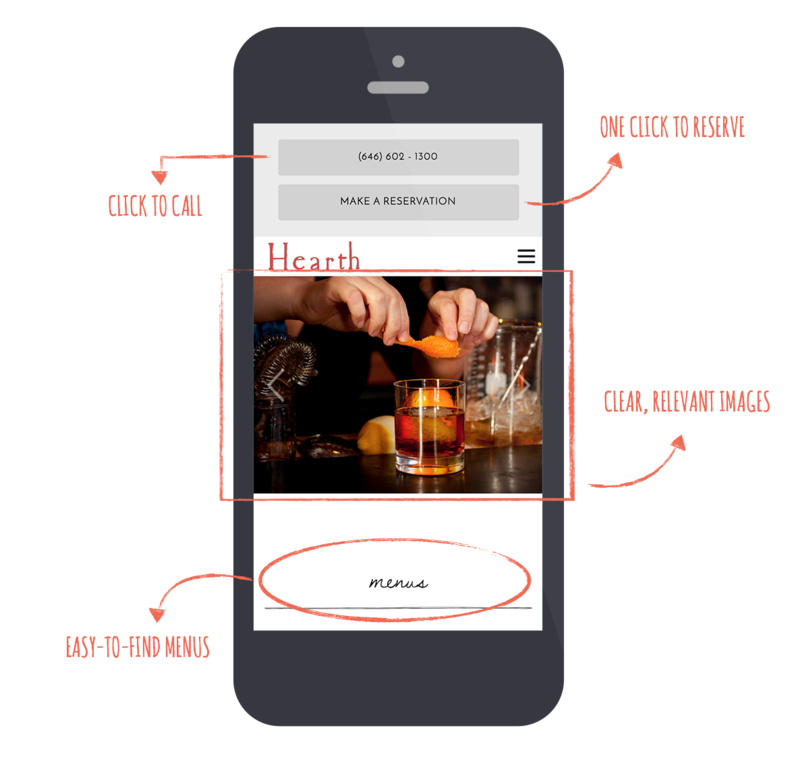 Over 50% of restaurant website visitors are accessing your website on mobile devices. Our designs are truly responsive so your guests can find what they're looking for quickly, and your website will rank higher in search results because Google prioritizes responsive websites. No need to recreate your restaurant online, instead give guests the info they need to get in the door. BentoBox websites are designed to turn website visitors into customers. Post promotions or alerts in seconds. For example, if you are open during a snowstorm or selling gift cards for the holidays. Alerts can be scheduled to go up or come down automatically.